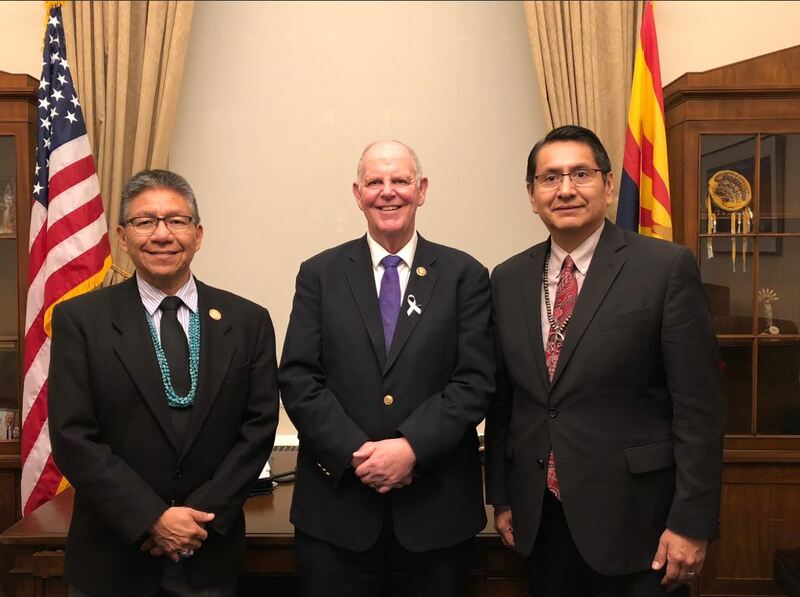 Navajo Nation President Jonathan Nez & Vice President Myron Lizer had the honor of attending the State of the Union Address in our nation’s capitol last night as the special guests of New Mexico Senator Tom Udall and Arizona Congressman Tom OHalleran. The two Navajo leaders taking to social media today to thank them as well as Senator Mitt Romney, Senator Kyrsten Sinema, New Mexico Senator Martin Heinrich, Senator Patrick Leahy, and Senator Ted Cruz for their warm welcome last night. After the address, President Nez told reporters he will support tribal nations if they do not want a wall built surrounding their land. While in Washington Tuesday Nez and Lizer met with Senator Elizabeth Warren on Navajo Nation priorities and today several congressional leaders are meeting with the Navajo President and Vice President as they continue advocating for Navajo people on Capitol Hill.